Explore boundless opportunities with Grimm's Toys. 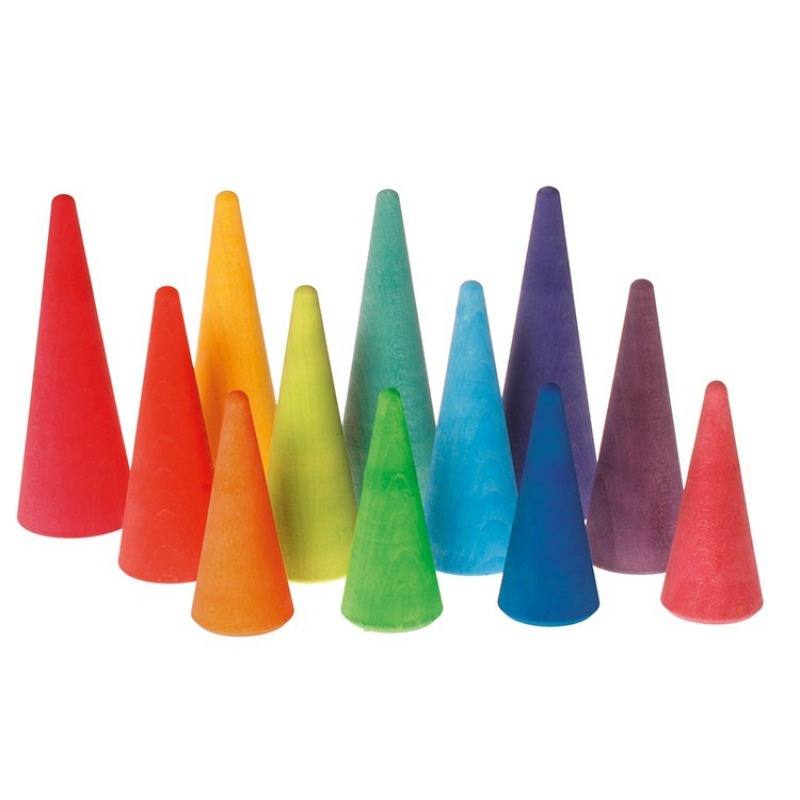 Create a magical imaginative world with Grimm's 12 beautiful, wooden cones. What will your wooden cones become? An enchanted forest ? space ships? people? or roofs and spires in combination with Grimm's semi circles, friends and rainbows? We are sure it will be all of them, and more! Grimm's toys allows little imaginations to blossom and grow naturally through play - there really are no bounds to imaginative and fantasy play! Dimensions: H = 2.5cm, L = 6-12cm. H = 7/9/11cm, Diameter= 3/3,5/4cm.